From Easter gift ideas to the everyday things that make me smile, I'm elated for the opportunity to share in with you on the favorites editions!! These weekly posts quickly became my, well, favorite! It's the real life day to day things I use, put a smile on my face, make life easier or all of the above. I've loved reading everyone else's ideas and have no shame in jumping on the band wagon. I hope you enjoy today's favorites! *Please note, this post may contain affiliate links from which I may draw a small commission. Your price is not affected in any way. Thank you for supporting Granola & Grace. 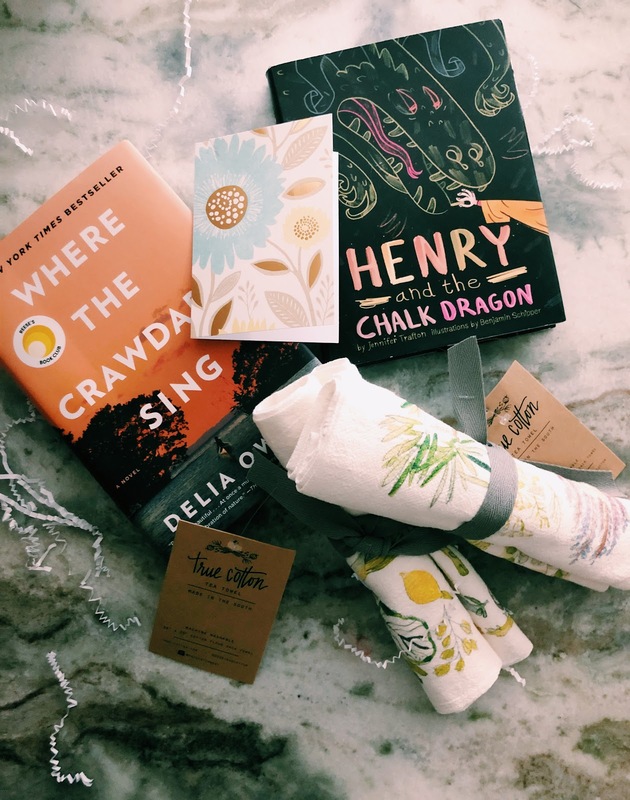 A book lover extraordinaire and friend told me that she was sending me her latest read, but she surprised me with adorable tea towels for the kitchen and a book for the boys as well. By the way, I read the book in an evening! Yeah, I might have stayed up too late last Friday night! If you don't already follow JoyInABook, hop on over. She's a sweetheart. 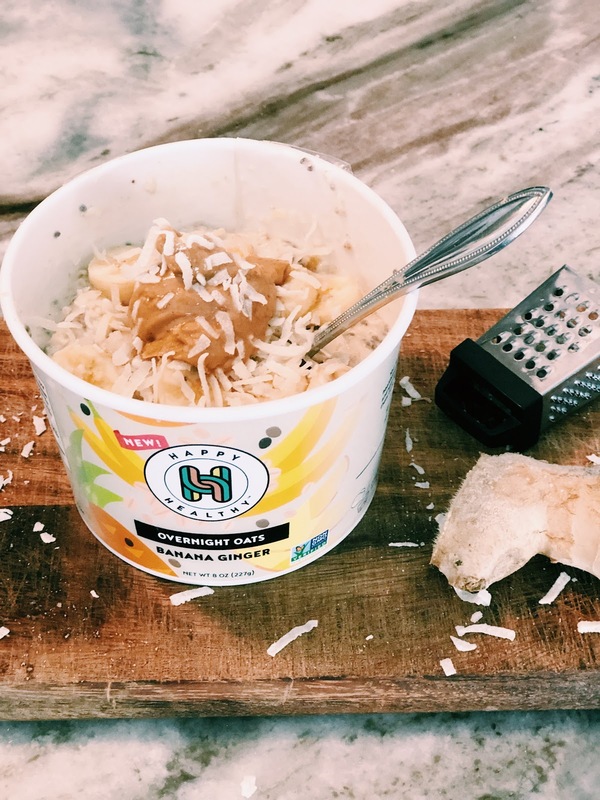 I was introduced to "Happy Healthy", a smoothie, açaí bowls and overnight oats delivery service at a recent blog conference. Each attendee received a generous code for a free box. More than happy to accept, I hopped online and made 9 different selections (also come in boxes of 12). In less than a week a box of frozen, healthy goodness arrived on my doorstep. They come ready to take on the go, which I did a time or two, but I also savored some at home as well. One sip of their "indulgent smoothie" and I was a instant fan. Delicious! You can order one box, subscribe or check their online store locater to see if there's a store near you. After a quick search of my own it looks like I'll be heading to Wal-Mart this weekend! You take this out of the freezer, cover oats with milk of choice, put the lid back on and it's ready in the morning. Now, I like my oats WARM, so I popped them in the microwave and was happy as a clam. I added coconut flakes and a dollop of peanut butter on the second go round, but it's not necessary. 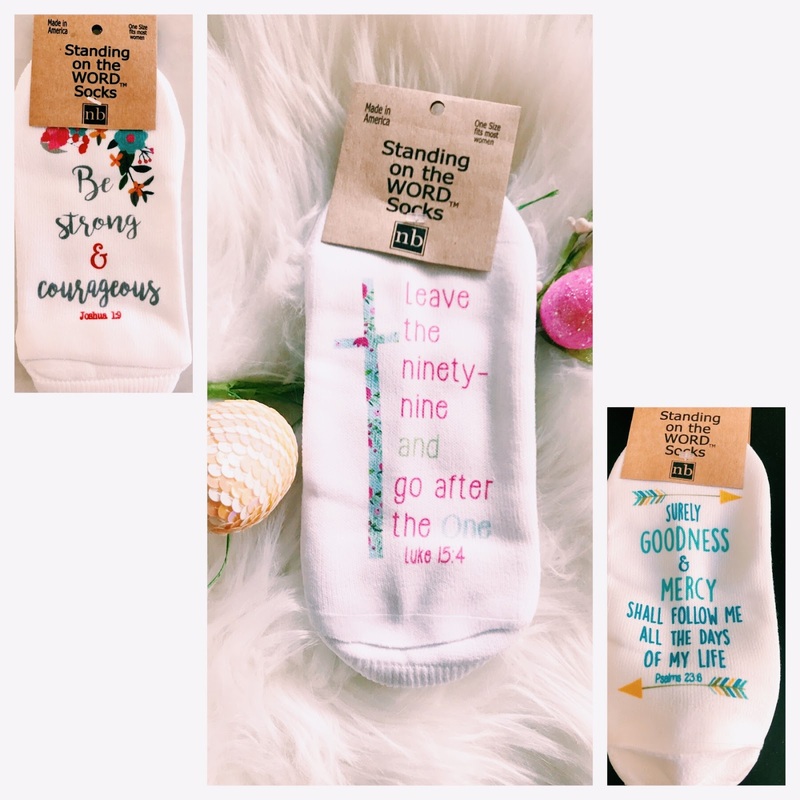 I think these Scripture socks would make a great Easter gift to a family member or a friend. There are several varieties and there's even an option to customize. My Mother in Law gave me these for Christmas and I almost didn't wear them - too pretty. However, after getting that obligatory photo I did and continue to. They are super comfortable and I've been able to keep them relatively clean! It's a new photo app for iPhone! 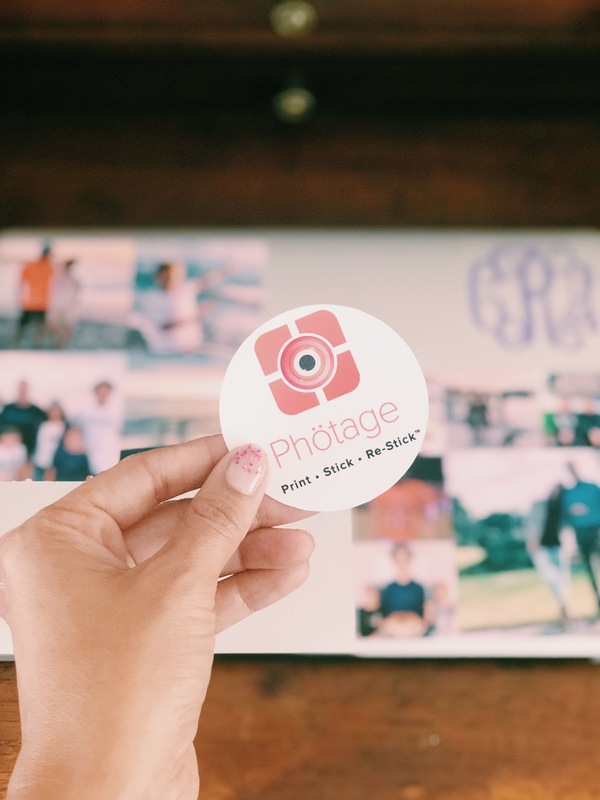 Photage app reached out to me via Instagram and I was intrigued by their "Print. Stick. Re-stick." picture feature. 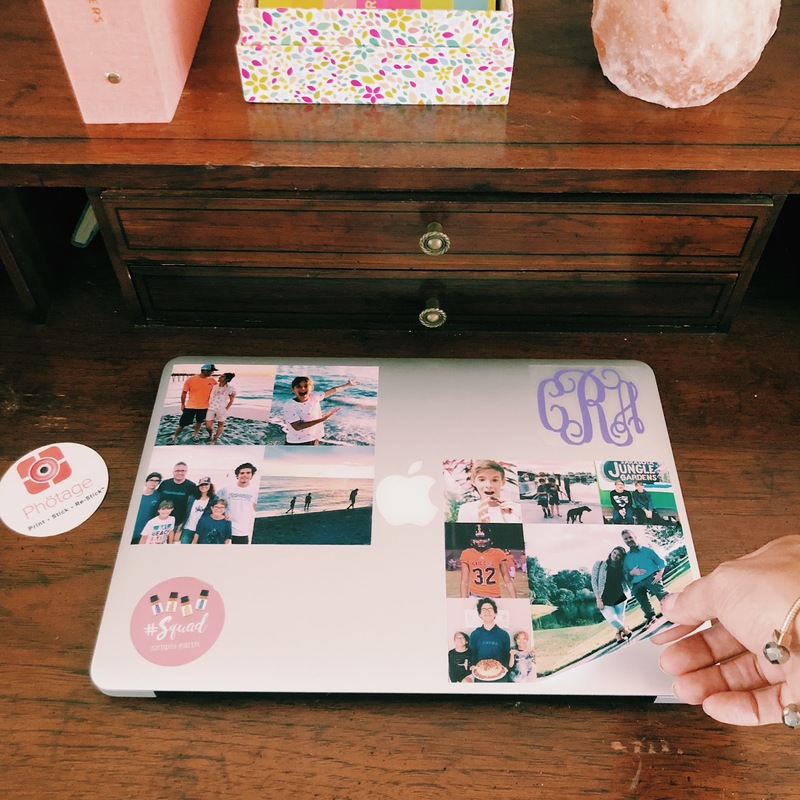 You upload photos and add them into the collage of your choice and they send you a removable and a re-stickable picture that you can place just about anywhere - yes even your walls!! After a brief learning curve with the app, I selected our most recent family pics and ordered two medium sized sheets (pictured above). They arrived quickly and I opted not to cut them up at this time and stuck them right on my laptop. How cute are these?? Color Street nail polish strips - have you seen these? I was introduced by distributor at the Sip And Mingle conference, but I didn't order a set until a few weeks later. I've tried a company with a similar concept and didn't love the process. However, I applied my own sample at the event and was impressed with how easy it was. It took me a couple of weeks, but I ordered a full set for $13 plus $3 shipping. Lastly, I'm sharing these GAP shorts! I came home with these shorts, after my recent shopping adventure with my MIL. However, I didn't wear them til this week. I'm clapping. I'm sidestepping. They are more comfortable than those chinos I shared with you. So now I have not one, but TWO comfortable shorts options! These are a Friday favorite for sure!! Alright friends, as always I love to hear from you and of course - Happy Friday! Nice favorites, friend! I completely missed the free coupon code from Happy Healthy and I'm mad! I'm going to go look in the Lands' End bag and see if it may still be there, but I kinda doubt it. The conference was the day before I left for TX and when I got back the activity just snow-balled around me. I'm so glad you found a pair of shorts! I ordered a pair recently from Dillard's (my size wasn't in the store) and the are just horribly cut for me. Oh I hope you find it! And definitely go try a few varieties at GAP. Several have mentioned that they are nailing it this spring. So glad to chat Kim!! Those socks are a perfect gift. And your teint is a bit jealous making Chrissy! I like your idea of warming up overnight oats. I used to make them myself & put in protein powder & put in a mason jar - they were delicious - but I just haven't done it lately. Need to get back in the habit of it. Oh I know! I didn't want to wear the socks for fear they would be dirty, but I just don't walk around in them a ton. However, I do wear them with shoes! And warming up the oats was a game changer for me. I liked them cold ok but not enough to go through the trouble to throw them together the night before. Aww! Thank you Andrea! This top has quickly become my favorite....kind of wishing I bought the other colors as well. Might still do that! I want all the shorts too! I hope your weekend went well my friend! Those socks are the perfect Easter gift! Love a good smoothie bowl and those removable photo stickers are such a cute idea! Gap has been killing it lately! Glad you were able to find some shorts! Yes, I love finding cute ideas but my ideas are usually "stolen" ones...gifts that others shared with me. lol. I hope you are having a great weekend Jill! Chrissy, I don't think I ever thanked you for the socks, so THANK YOU!! I love them! And I appreciate you thinking about me and encouraging me to stand on God's word! So I'm assuming that since you devoured Where The Crawdads Sing that you loved the book. Did you know they were making a movie of it? Unfortunately for me, it wasn't a favorite book of mine, so maybe I'll enjoy the movie better? We'll see. I hope you are enjoying your weekend with your sweet men! Oh, you sure did!! You make me smile friend and I'm so glad you like them. Hmmm, I don't know about the movie. I won't lie, I was a little nervous about how "racy" the book was going to get when she met "tate". It pushed it for me, but thankfully stopped there. Loved the socks so much that I ordered a pair as a surprise gift to a blogger friend, Mary Clewley, whose Bible study workbooks have really helped me to grow in my spiritual life. Your legs look pretty darn amazing peeking out from those cute shorts. What a great length. At 60, I am getting pretty uncomfortable wearing shorts. But having shorts I can wear for our almost unbearable El Paso summers, is a must. Will check them out. Leslie, that is the sweetest thing! I'm so glad because I've chatted with the guy who makes these. He and his wife are such a sweet couple. It makes me happy to see them supported. Plus, I love their socks! And thank you for the kind words. These poor legs didn't hold up through the pregnancies and are riddled with varicose veins. Fortunately, it's hard to tell in pictures some times! I used to be self-conscious about it but it's too hot here. So I'm with you. Go find some comfy shorts and be comfortable! :) Have a great weekend Leslie! Shelly loved that book Where the Crawdads Sing too! I need to get my hands on it and read it. You did a great job on your nails. I ordered from Color Street but should have ordered something with glitter. The solid colors are hard to use when first starting out because they show every mistake and I make MANY!!! I think that photo app is very cool! Thank you Kellyann! And oh no, I ordered the solid color nails to try next and I'm terrible at details and I'm not a perfectionist so we shall see how this goes! lol. As for the book, it was an easy read and I wanted some answers! So yup, stayed up too late reading! Hope your Sunday goes well my friend! What a great list of favorites. You are precious in your shorts. Love those socks. Your nails are so pretty. Hi! 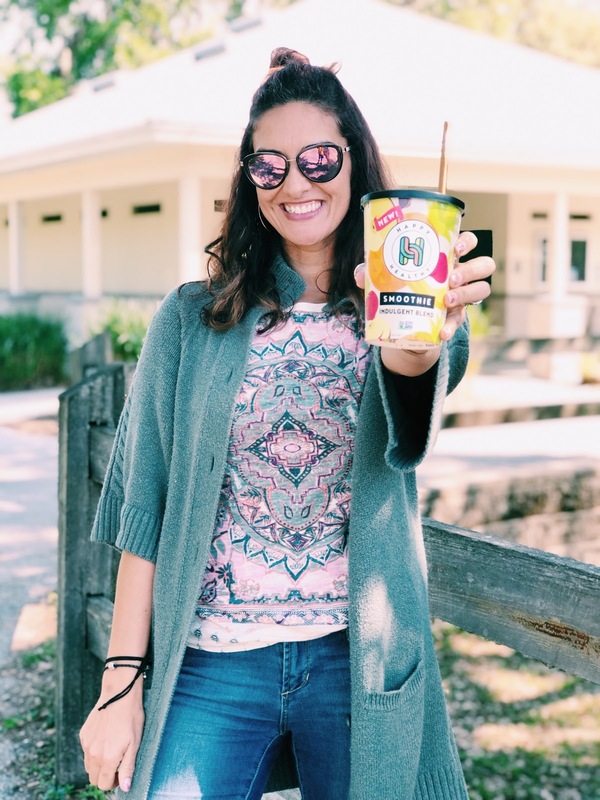 I'm Chrissy, a lighthearted lifestyle and fashion blogger who loves to create content that connects readers with my favorite brands and local spots, all the while sharing adventures and inspirations along the way! Please be aware that I sometimes use affiliate links. For every click you make I may earn a few cents. I'll always disclose when an item has been provided to me. Thank you for understanding and for your continued support.